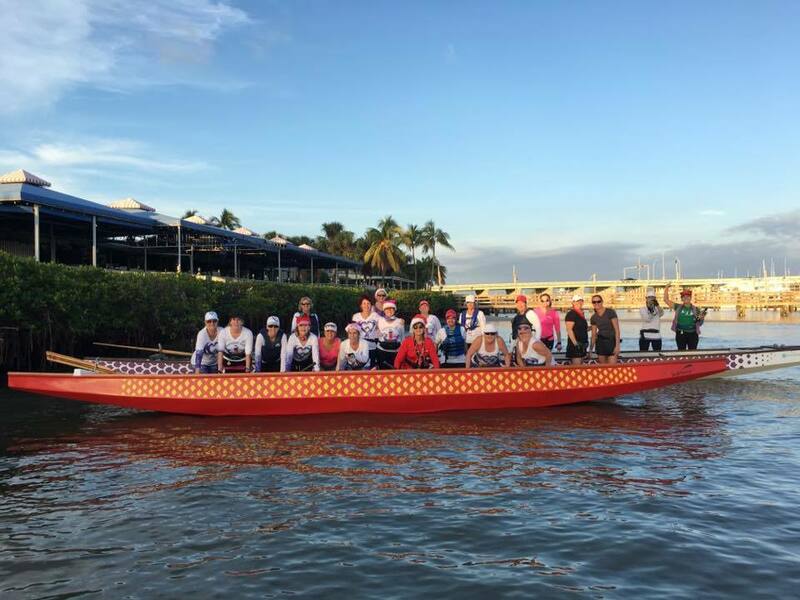 The sport of dragon boating, more than 2,000 years old and originally from China, experienced resurgence in the North America in the 1970’s. In China, the dragon is a symbol of strength, unity, and leadership. 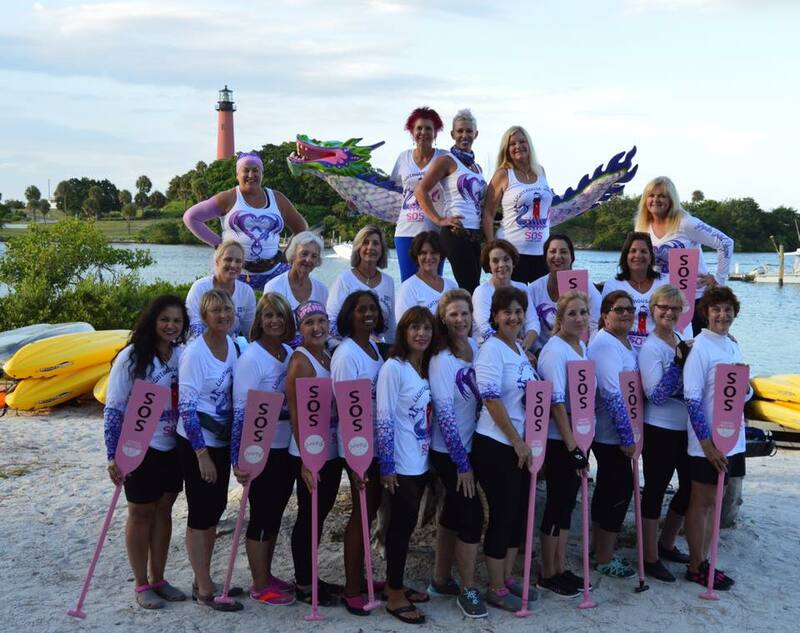 For breast cancer survivors, dragon boating has become a symbol of their struggle against cancer and their celebration of life; it gives them confidence to no longer think of themselves as victims, but as “thrivers” – courageous athletes fighting back at the disease. 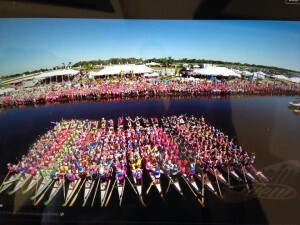 An ancient form of transportation in China, Dragon Boating became associated with breast cancer survivors in 1996. 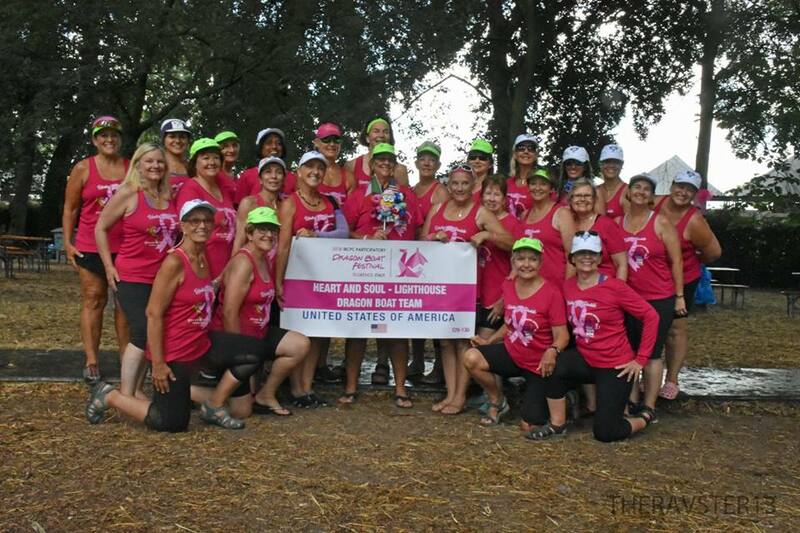 In an effort to counter common thought that avoidance of exercise would prevent lymphedema, or localized swelling, Dr. Don McKenzie, a sports medicine physician at the University of British Columbia, recruited 24 breast cancer patients to participate in the activity, which closely resembles crew. Over time, he found that exercise can be beneficial and reduces lymphedema. An added bonus was the sense of accomplishment, newfound friendships, and joy at doing something new. The idea of such vigorous upper body exercise for this group was very counter to conventional medical wisdom. 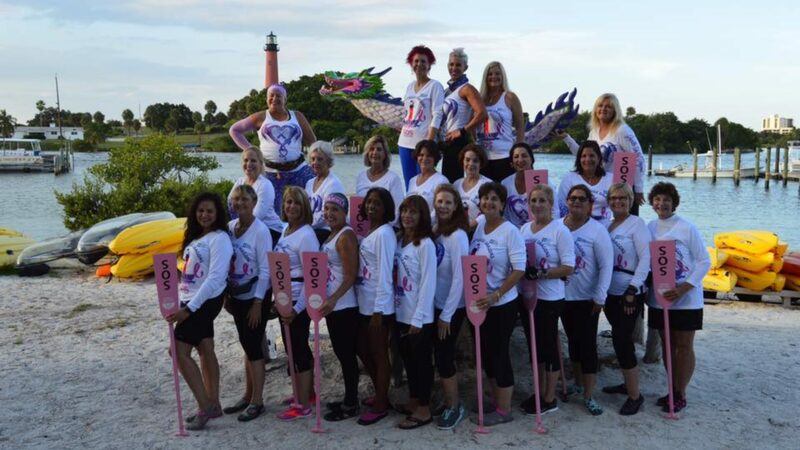 For decades, breast cancer survivors have been told not to lift anything over 10 pounds, or do any upper body repetitive, strenuous activity for fear of creating even more health risks to an already ravaged body. However, as Dr. Don McKenzie suspected, the paddling was not bad for them; on the contrary – it was good. 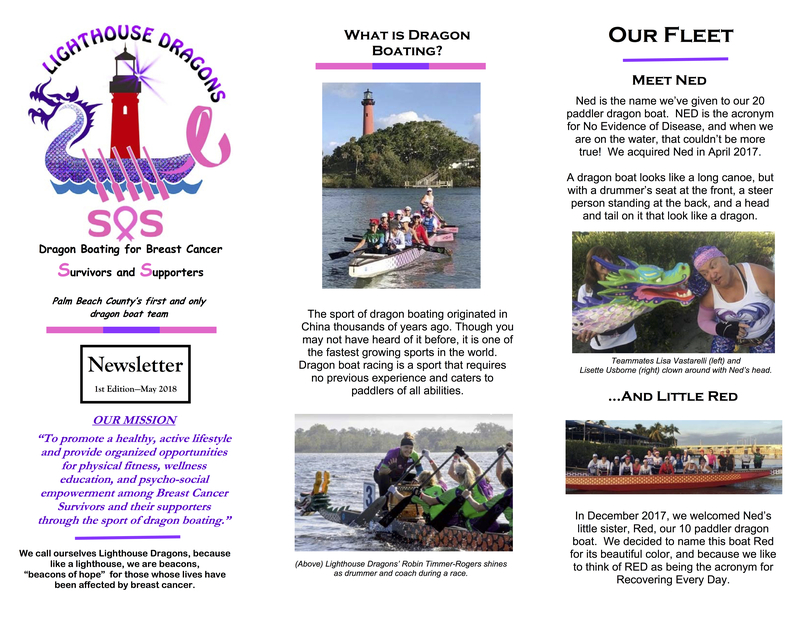 Dragon boating not only improved their strength, flexibility, but their immune system, bone building, and general well-being also improved dramatically. 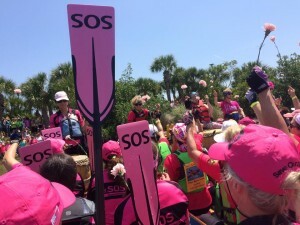 In addition, the team provided emotional support, camaraderie and an information system for this deadly disease that now affects 1 in 8 women over their lifetimes. What began as a small experiment in Vancouver, Canada has mushroomed into an international movement represented by more than 150 registered BCS teams throughout the world, in more than ten countries on four continents, with more than 50 BCS teams located here in the United States. Experience is definitely not needed. Only the desire to learn and have fun. 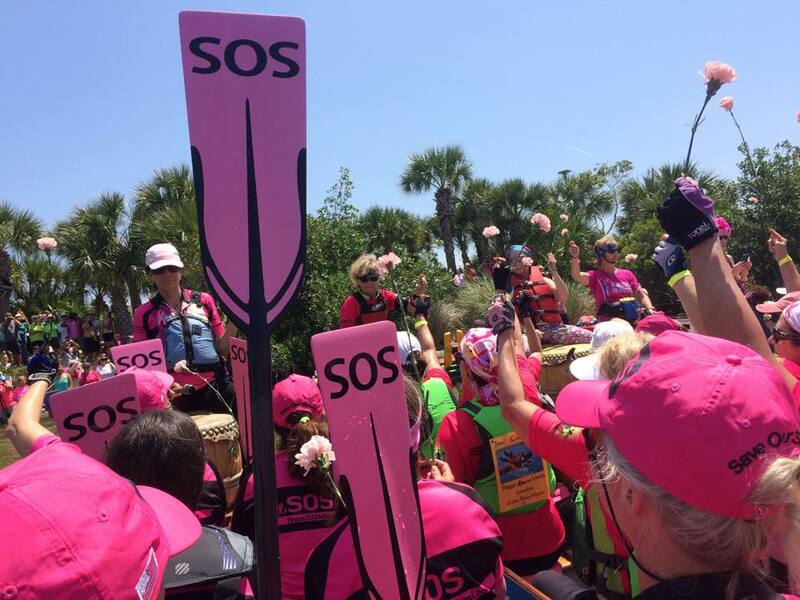 Through Dragon Boat Racing survivors have the opportunity to meet other survivors, as well as many other people who also provide support. 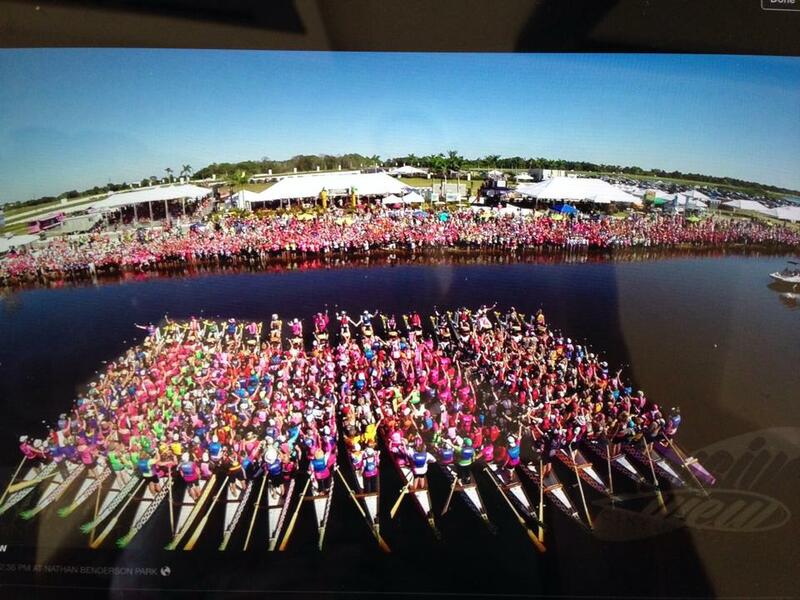 Dragon Boat Racing is an international sport which enables travel to places such as Germany, Canada, England, France, etc.